Superior category Olive Oil obtained directly from olives and solely by mechanical means. With a rich, fruity flavour, it is perfect for dipping or marinating. Organic. 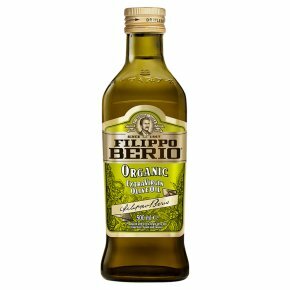 Filippo Berio Organic has all the characteristics of our traditional Extra Virgin Olive Oil, certified to strict ICEA organic standards. With a rich, fruity flavour, it is perfect for dipping or marinating. Superior category Olive Oil obtained directly from olives and solely by mechanical means. Drizzle over cooked meat, vegetables and salads.